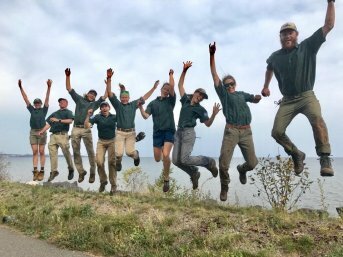 Grant Recipient: Great Lakes Community Conservation Corps, Inc. This grant will support AmeriCorps crews in southeast Wisconsin. These crews will work in partnership with several community organizations to improve water quality and fish passage, eradicate invasive species, and help to implement residential best management practices for managing stormwater.